The motivation is constantly for new and improved devices despite any safe, adequate performance of older, similar equipment. New devices mean more revenue from recent patents and the marketability of that comes with impressing doctors of the latest medical technology. FDA pre-market approval (PMA) for medical devices only requires one favorable study. Pharmaceutical drug studies require two favorable studies. These studies are conducted or supervised by the pharmaceutical companies that are then reviewed by FDA officials. A medical device company can conduct ten trials that have terrible results except for one, just as pharmaceutical companies select two for FDA review with drug trials. Those are the only ones the FDA sees. A new documentary, The Bleeding Edge, shows the rarely confronted darker side of the medical device industry that creates iatrogenic illness and death. The documentary follows the stories of several people who had their health ruined by FDA-approved medical devices that probably never should have been approved in the first place. The Bleeding Edge skillfully introduces its first medical device iatrogenic victims in a way that makes you feel you’re getting to know them intimately, and will be on their side. This article will be summarizing their stories and highlighting the issues of a medical business that focuses more on the bottom line than the safety of its customers. The person that you get to know the most in this documentary winds up a bleeding mess after using permanent contraceptive devices, trade name Essure, originally produced by Conceptus, Inc. in 2002, then sold to Bayer. Angie Firmalino and her husband had enough children between them from their first marriages and one newly-born from their current marriage together that they could support them financially and with proper attention. So, Angie’s doctor sold her on the permanent contraceptive device from Bayer called Essure. It’s a small device. One is inserted in each Fallopian tube through the uterus in the doctor’s office. The small coils that surround each pin are expanded from an attached device the doctor controls outside the area of insertion. This causes the surrounding tissue in the Fallopian tube to become inflamed. The swelling blocks the passage and creates a barrier that blocks sperm cells from penetrating the ovaries. All of a sudden an implanted device that was designed for a specific purpose, to prevent pregnancy, creates chronic internal inflammation. The result for Angie was catastrophic, leading to a cascade of operations to remove the fragments and dislodged devices from the uterus while attempting to cure the side effects. Angie’s good health had been devastated. She set out on the internet seeking others who may have had similar experiences. Angie created a Facebook group called Essure Problems as an attempt to warn her friends and family about Essure dangers. That Facebook page soon became a support group site with thousands of members. They managed to discover and purchase a video of the FDA approval procedure for Essure in 2002. It revealed a shockingly cavalier approval with lots of unanswered questions for a short-term study of only a few subjects. A clip from that approval meeting was included in the documentary. Several members went to an OB/GYN (obstetrician/gynecologist) convention in San Diego, California, to demonstrate against the Essure product. The doctors confronted did not think the issues presented were valid enough to reconsider their practice of inserting Essure. As the lawsuits against Essure mounted and finally the FDA forced Bayer to put a “black box” warning on Essure packages, Bayer claimed they would take Essure off the market completely by the end of 2018. After so many years of high profits from Essure sales, Bayer has more than enough to settle injury claims and benefit financially in a big way. An Alaskan orthopedic surgeon, Dr. Stephan Tower, has his own negative experience with a medical device. He had a manic nervous breakdown, trashing a hotel room, several months after his hip replacement. Prior to that episode, he was beginning to experience general malaise and tremors, not the sort of thing handy for a surgeon. His hip device from DePuy Synthes of Johnson & Johnson was made with cobalt metal. And Dr. Tower discovered his blood level of cobalt was a hundred times higher than acceptable. He hypothesized that the cobalt toxicity had adversely impacted his brain and central neurological system. So, he decided to undergo surgery again to replace what had been done with cobalt materials with something safer. Upon redoing his hip implant with other materials, it was discovered that the cobalt metal joint had disintegrated, ruining the tissue surrounding it. This motivated Dr. Tower to further research the issues with that device. He wanted to see if there were similar adverse events among other hip, knee, and shoulder implant patients. He discovered that most of those who had some sort of joint replacements with at least one component made from cobalt were exhibiting neurological problems. Their blood showed high levels of cobalt heavy metal toxicity. Furthermore, FDG PET brain scans of those patients exhibited brain and central nervous system damage among all 25 patients by the time Dr. Tower’s story was documented in the film. The takeaway was concern over how many patients with cobalt or other poisons from joint implants would have neurological issues such as tremors, diminishing sight, and chronic fatigue and then be misdiagnosed, leading to other inappropriate treatments that would also have iatrogenic effects. Meanwhile, everyone on the medical line gets paid by some sort of insurance, while patients suffer unnecessarily, usually getting worse all along the way. Dr. Tower remarked that he had felt obligated to do the research but was concerned with the lack of interest shown by the CDC and FDA. Dr. Tower had even approached them with his research that he felt they should have been doing. But they have not, and are not following up with the dangerous issue involving cobalt metal parts for joint implants. Another device featured included real-life victims implanted with the material used for hernia mesh supports. The mesh, as an internal pelvic support for female urinary vaginal issues, was approved through the 510k system, because the same material had been approved for hernia issues. With women, the mesh gets enmeshed in tissue after some time and causes some really bad problems. It gets stuck and continually festers as the tissue keeps trying to get rid of it. In the cases involving women’s reproductive organs, the torture of mesh enmeshed in vaginal tissue is often remedied with a hysterectomy. 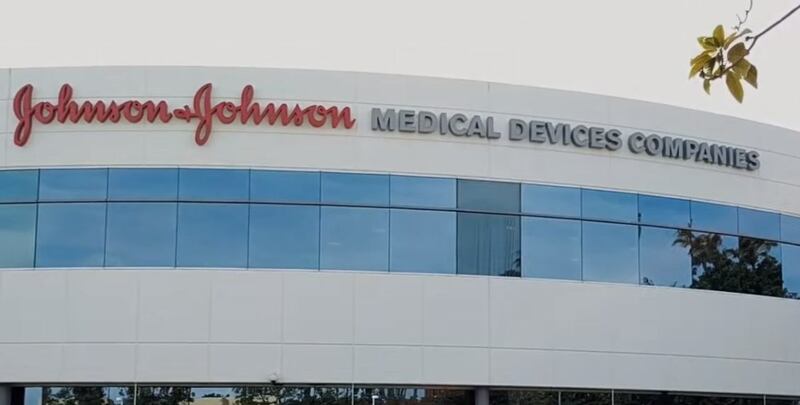 The documentary reveals that Johnson & Johnson was aware of its mesh implant adverse event issues before they used the 510k system for market approval. The documentary disclosed that Johnson & Johnson had spent 300 million dollars on legal matters from lawsuits over a decade, while its revenue was in the hundreds of billions. A million dollar robot surgical system known as The DaVinci is often used for hysterectomies. Somehow its approval was pushed through by an FDA manager using the 510k system. The FDA was told it would require considerable training to operate it safely. But after the approval, promoting the need for training was pulled back. The manufacturer, Intuitive Surgical, was concerned about low sales if hospitals and clinics knew the training could be long. One doctor the documentary interviewed claimed it took him a few hundred operations to “feel comfortable” with the DaVinci Surgical System. Several women who had hysterectomies by surgeons, some of who were not fully trained operating the robot surgical system, wound up with the grossest horror stories of having some of their guts drop out through their vaginal orifices after the DaVinci device was used for their hysterectomy. In the documentary, several Essure test trial subjects explained how their answers to questions asked by trial monitors were altered. One of those subjects who came forth in the documentary had been selected by Essure to be an advertising spokesperson. After grandfathering in medical devices created before 1976, a plan that would allow market approval based on similar devices approved earlier could create an automatic approval to market without scrutiny from an FDA panel. This plan is called the 510K. The problem is that many of the earlier FDA approvals had to be taken off the market after causing considerable damage to patients. That reality is never considered with 510k market approvals. Pharmaceutical companies don’t usually give doctors cash bonuses for using their products. But they are often given perks that include dining on their dime, vacation logistics paid, opportunities to give lectures that pay fees, and so-on. Along with that theme, the documentary had a former medical device sales rep tell a short tale representing how it all works. A doctor once had told him that his company’s products were superior, but the other company did more for him. “Welcome to the business,” he cynically added. The medical device industry claims to be at least as politically powerful or more than the drug departments of Big Pharma, as their boast was announced at a medical device conference shown as the beginning documentary credits roll. The Bleeding Edge documentary is emotionally powerful and extremely well done with rave reviews while providing factual information from behind the curtain of the medical device industry. It exposes how the profit motive supersedes the health concerns of many patients within an industry that undergoes too little scrutiny. The movie does a disservice to the thousands of women who rely on Essure for their reproductive health, as it may encourage them to pursue risky and unnecessary surgery to remove the device. The producers of The Bleeding Edge responded by pointing out that in the midst of many lawsuits against its products, Bayer does damage control by marginalizing its critics and denying culpability.